Virgil’s Café in Bellevue, Kentucky is fast becoming one of the most buzzed about restaurants in town. 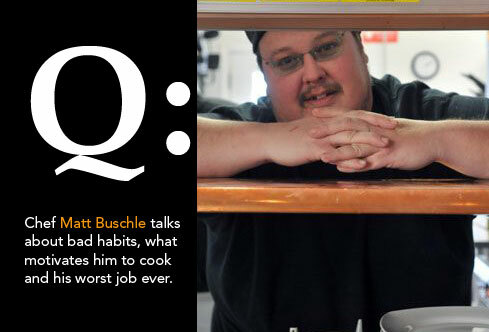 But chef/owner, Matt Buschle, is all about keeping it slow and casual. Here’s a quick peek into the mind of the man himself. Lovely interview. Virgil’s is amazing. 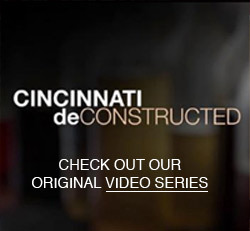 I ‘get’ and embrace what Matt Buschle’s is doing and am glad you are spreading the foodie love!! I consider a meal at Virgil’s a very enjoyable treat. Good food, good people, good time! i love this post. but most of all i love your graphics and layout. your blog looks AMAZING courtney. very magazine like and super cool. gorgeous. Nice article! we have known Matt for quite a few years from when he cooked at a great cafe in Ft. Thomas, The Aurora Cafe. What a fun and funky place it was, most definitely casual but never boring.. how could it be? Matt was the main cook there.. when the owner closed the restaurant, Matt went into jewelry business, but food was his true calling, wound up as a chef at Irish Pub in Covington but still not what he wanted.. when he started working on Virgil’s, my husband and I knew it would be something special. He took such care in putting it all together and the materials he used. Matt is a great chef and takes such pleasure in making people happy with his food. We “get it” and it is always a treat to eat at Virgil’s.